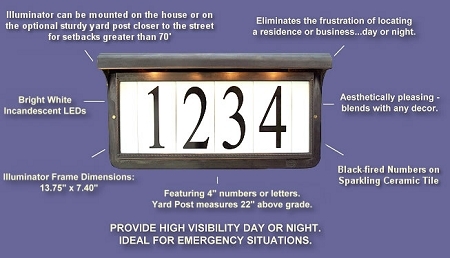 Our solar address plaques have both quality and style. 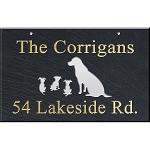 The 4" characters are black-fired on individual ceramic tiles that are set into a beautiful and durable frame. 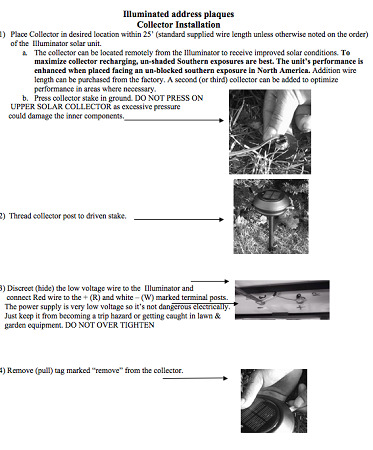 The solar collector operates the illuminator for up to 14 hours and include 25 ft of wire for remote placement. This plaque is designed for wall-mounting. 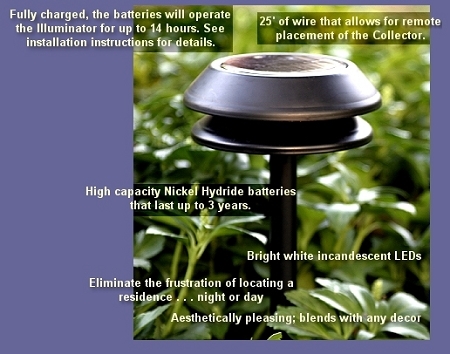 A lawn version is also available. 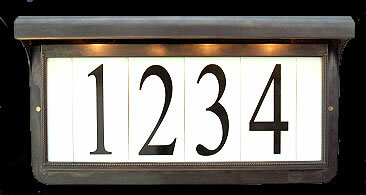 - Holds up to five 4" numbers or letters. - Frame is finished in a durable plated "living finish" that will will patina but not oxidize (rust), chip, crack or peel. - Ceramic tile is adhered to the frame.